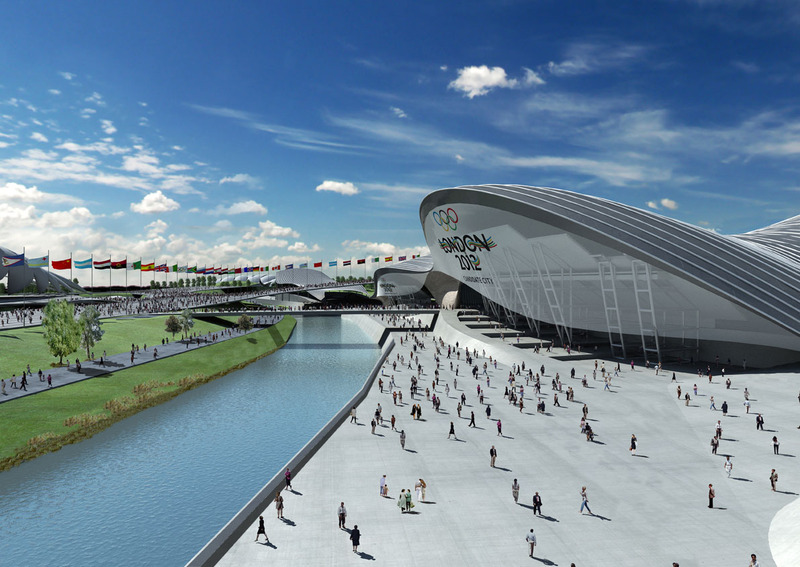 The 50 day countdown to the 2012 Olympic Games in London is upon us so you can expect sponsor activation to step up a notch over the next few weeks. The London Games have already been labelled as the ‘Social Media Olympics‘ (or ‘Socialympics’) but after a closer look at the planned activity of the sponsor family, the ‘Facebook Olympics’ might be more appropriate. In fact, it highlights a worrying trend in that brands (and their agencies) seem drunk on the perceived power of Facebook apps to encourage engagement. Instead of waxing lyrical about Facebook (although that would be fun! ), let’s take an in-depth look at the Olympic sponsors and the things they’re activating in the lead up to London 2012. Also, be sure to check out this great live Olympic sponsor social media scoreboard from the team at Sociagility. Panasonic has taken a traditional offline activity (face painting) and given it an online life with the Panasonic Flag Tags app. Simply upload a picture, run it through the app, and then you get a patriotic flag face picture back which you can post to your wall or set as your profile picture. League tables are also available, showing which country is ‘showing their colours’ the most. Create your own Flag Tag here. Samsung is also using Facebook as part of their exploitation but in a very different way. Considering Samsung is doing so much around the Olympics, the establishment of the ‘Everyone’s Olympic Games’ hub makes perfect sense (although it initially feels a little too Samsung-centric). The most interesting tab within the app is the Samsung Global Blogger area which brings together the work of the global blogger team who are reporting back on various things around the Games including celebrity chef, Jamie Oliver. Visa is also using Facebook as its central hub for fans, pulling in content and activity from several places and platforms. The ‘cheer’ element of the campaign is an interesting one, although hard to articulate. In Visa’s words, it hopes ‘cheering’ will join other popular social actions including ‘pinning’ and ‘liking’. These are lofty aspirations, but only time will tell if it’s reachable or not. P&G is another brand doing a helluva lot around the 2012 Games. One of the social media channels it has taken to with great conviction is YouTube as evidenced by the Best Job – P&G London 2012 Olympic Games Film – which ties in to its ‘proud sponsor of Mums / Moms’ push. The film has had more than four million views and probably racked up a million or so crying moments while at it. One of my pet hates has to be Facebook pages set up for campaigns or specific time periods. Why? Because it tells me that as soon as the ‘used by’ date has passed, the Facebook page will fold. This creates a huge barrier for people who want to get involved in a page when they know any time they spend investing in it will be wasted in the long run. The Samsung App approach is a much better strategy, pulling people in through the on-going brand page presence and directing people to content based on an orchestrated calendar. BP has selected to go with a specific London 2012 Facebook page but judging by its low ‘people talking about’ this number (in relation to the total fan community) it’s struggling to captivate its audience. BA is also doing a lot, and surprise, surprise, Facebook is going to play a big part. It looks like BA will also make the #HomeAdvantage hashtag part of its activity but hasn’t (as yet) ‘claimed’ the tag at TagDef.com or wttrend.com. The tag is also used in everyday tweeting so ‘owning’ it is a challenge but it means it will be used as a natural tag too which may help amplify efforts. The Home Advantage video available on YouTube gives you a fuller flavour for what BA has in mind. The premise for this one is simple: “The #GoldenBMW convoy is touring Great Britain. Spot It. Snap It. Share It. to win tickets to the London 2012 Games.” This activity is taking to regional UK, generating buzz along the way, and using the prize of Olympic tickets to encourage participation. Follow the action via @GoldenBMW. Omega is drawing on the Rolling Stone classic ‘start me up’ as the backbone of its Olympic activity. Just last week, it aired its Olympic TVC on YouTube but has made the classic mistake of featuring its target URL at the bottom of the description (as opposed to the very top) which decreases the likelihood of referrals significantly. The supporting press materials encourage people to join the conversation by using the #startmeup hashtag but it isn’t completely clear how they intend to do this (yet). Cadbury UK started its Olympics leverage very early on with its spots versus stripes activity. More recently, it asked fans to join a virtual march in support of its Olympic heroes via a Facebook app which could be shared to create a crowdsourced super march. The YouTube video (complete with ‘Eye of the Tiger’ as the backing track) gives you the full scoop. There is likely to be a bunch of other tactics deployed by these and other Olympic sponsors as the Games draw closer, including a few ‘big guns’. No matter what, we’re in for a few surprises, on and off the field, come late July.